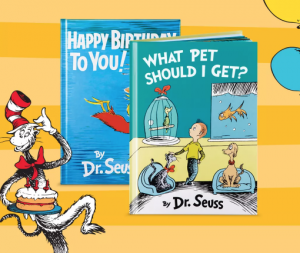 Saturday, March 2, from 10:00 a.m. to 11:30 a.m. Target is hosting a special free event for Dr. Seuss' birthday. Come celebrate with readings of What Pet Should I Get at the top of every half hour. They will also be hosting Dr. Seuss giveaways, fun activities & more.